I have news for you, Geraldo. 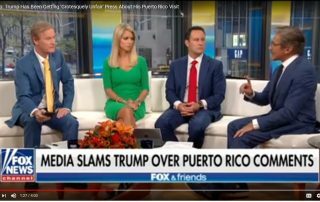 The mainstream media’s “grotesquely unfair” treatment of President Trump is not limited to Puerto Rico. It is all day, every day! 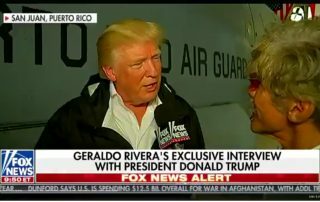 VIDEO: President Trump is suggesting bankruptcy for Puerto Rico to solve its massive debt crisis. Good idea! 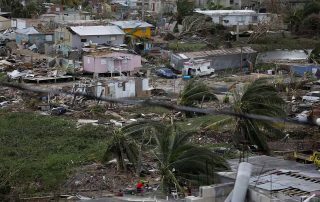 President Trump appears to be looking for a creative solution to fix the many problems Puerto Rico suffers from beginning with its massive debt situation. A hybrid bankruptcy/debt renegotiation may be in the works. Frantic audio from a Puerto Rican cop in tears telling the truth about who is to blame for hurricane relief aid not reaching victims. It isn’t Trump! Listen, in the audio, below, to this desperate Puerto Rican cop (or employee of a police department) who is at Ground Zero with the Puerto Rican people who lack food and water and basic necessities and have no means to acquire them unless they are delivered, which is not happening, at least not very effectively. 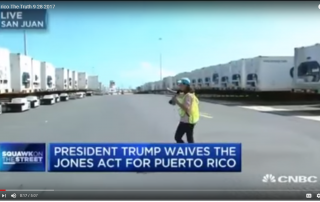 Using the hurricane as leverage to gain more money and benefits for truckers, the Teamsters Union has gone on strike and its president is not allowing truck drivers to report to the port to haul aid to the people so desperately in need of it. Union leader Victor Rodriguez has brought the island to its knees. 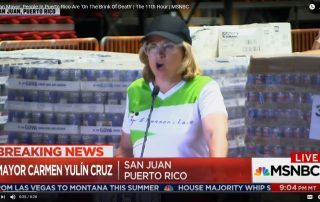 Waddling out before the cameras and many pallets of untouched aid, Mayor Caren Yuliz Cruz Soto turned in an Oscar-worthy performance, pleading and groaning, exclaiming that the people of San Juan “are dying,” and it is all President Trump’s fault.